PPGZ Fan Art. PPGZ Fan art by various random artists on DeviantART and Photobucket.. HD Wallpaper and background images in the powerpuff girls Z club tagged: powerpuff girls z buttercup blossom bubbles miyako kaoru momoko. 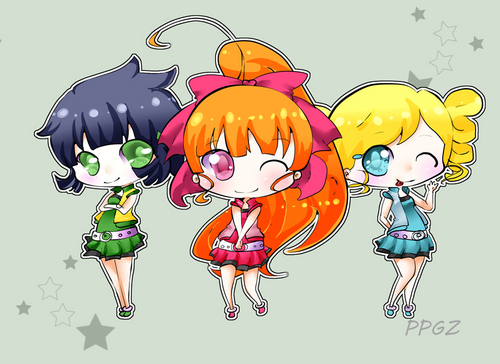 This powerpuff girls Z fan art contains anime, comic book, manga, and cartoon. PPGZ look SOOOO CUTTEEE in Chibi Land!